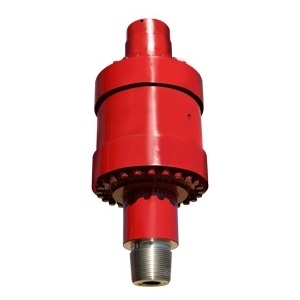 Threaded directly into the drive spindle of the rotary gear box, the Foremost Cushion Connector will assist in protecting the rotary drive and mast assemblies against both torsional and axial vibrations/shock loading in moderate and extreme drilling conditions. 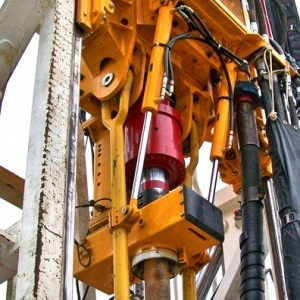 The results will be reduced drill maintenance, increased drill availability and lower production cost. Disc springs are utilized within the connector assembly to allow for a certain amount of axial movement between the drill stem and the rotary drive. The disc springs will accommodate operating loads ranging from 8,000 to 120,000 pounds thus in most cases, this will help to maintain the tri-cone bit in continuous contact with the formation thereby reducing the possibility of fracturing or breaking the carbides in the bit. 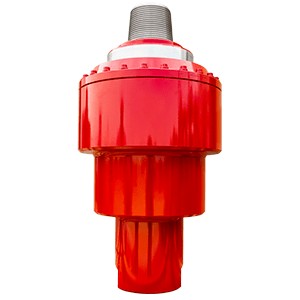 Urethane drive blocks located within the connector assembly serve to provide 100% transfer of rotary torque from the drive spindle to the drill stem as well as absorb torsional vibration transferred by the bit. Foremost Cushion Connectors have proven track records in a variety of locations and applications. It is not uncommon to increase drill availability by an average of 15% to 20% and decrease maintenance cost by 25% to 40%. An average return on investment can be as few as 6 to 12 months. Typical replacement of seals and wear items within the connector assembly may be required on an annual basis, however, the cost is extremely low when compared to other competitor’s products. Replaceable wear parts, seals, guide rings, etc. Mining operations – coal, iron ore, copper, gold, etc. 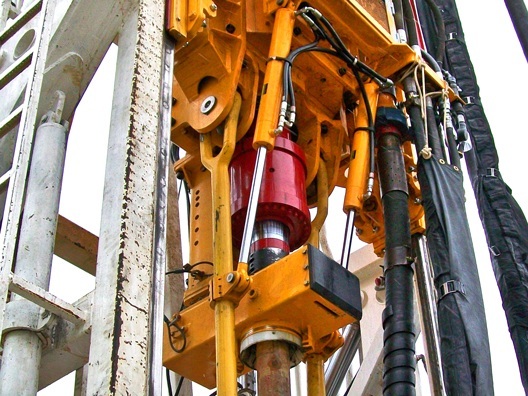 The opportunity to select from any one of four independent assemblies allows the operations personnel to select the connector that is most suitable for the drilling application and equipment preferred to perform the drilling.